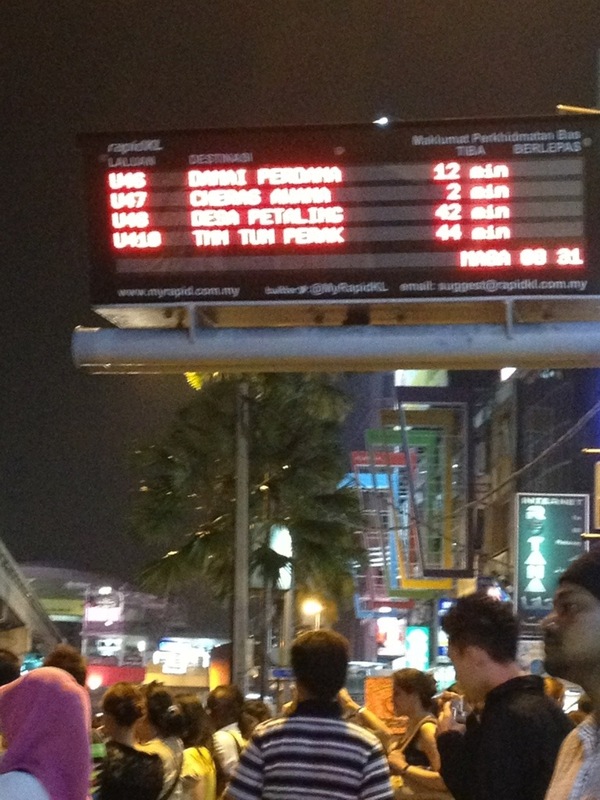 So i went to downtown of KL, and tried to use the free shuttle service bus named GOKL City Bus. Well, this post is not about the bus services, but the one that I want to highlight is the technology that Rapid KL use for their bus tracking system. Actually it’s a good idea to have tracker in each of the bus stop and it will tell approximately how long till the bus arrives on that bus stop. But I guess it’s just another false implementation, because in the list, my bus should arrive in 4 mins, but guess what, the bus reached the bus stop after 30 mins. Well maybe the problem is because the traffic was not smooth at that time, but still, I think it would be better if they just show the distance, instead of the time, since traffic in KL is unpredictable. 3 Responses to "The unreliable bus tracking"
Are they also using a GPS tracker? I think the problem is traffic, because they don’t calculate based on current traffic, they just calculate based on distance divided by average velocity, which is useless count in KL’s traffic. grade point average levels. Have a great day!